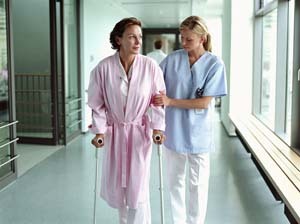 The patient may have difficulties in sleeping, but do not allow him/her to sleep too long during the day. Dislocation : can be identified by severe pain, shortening of leg or difficulty in walking. This can be prevented by avoiding crossing the legs, twisting and bending the hip past 90 degrees.